Svindal vince per la quarta volta a Lake Louise, sul podio con SWIX. Lake Louise Super G: 3. Joachim Puchner +0.90, 2. Adrien Theaux +0.85 and the fastest man of the week is … Aksel Lund Svindal!! 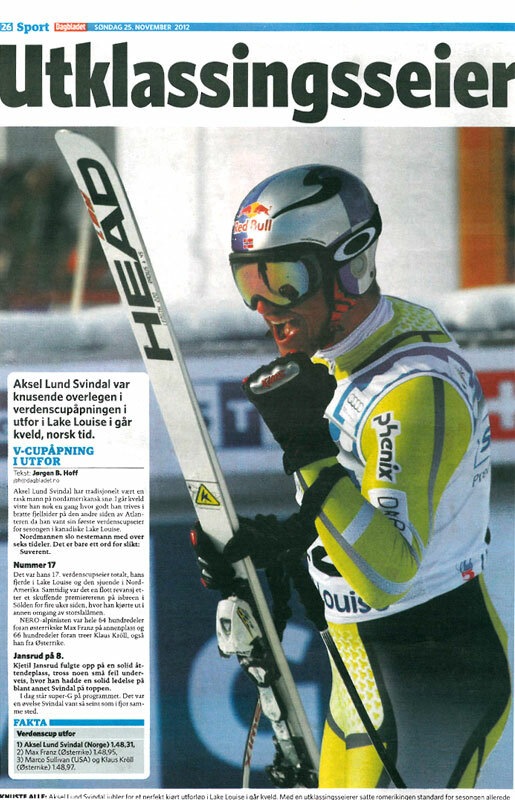 Svindal signs with Swix Sport for alpine gloves exclusive. Swix Sport AS, a world brand leader in winter sports apparel, ski wax, poles and accessories, is happy to announce the signing of a 4 year contract with Olympic Gold medalist Aksel Lund Svindal: a signature collection of Alpine Race gloves and mitts. In addition there is already signed a 4 year contract with the athlete to endorse the company’s collection of SWIX poles. “This is both an honor and a great opportunity for Swix Sport and the future growth of both our pole and hand wear divisions” says Swix Sport President Ulf Bjerknes. “In addition to using and endorsing our pole and signature glove collections in World Competition, Aksel will also serve as an advisor to our product management teams, bringing the best products with innovative concepts to the market. 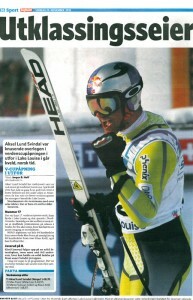 Signing him at the same time as he wins 2 WC races in Lake Louise with his brand new gloves and poles, is a great start”. “I have been skiing with Swix poles since I was 16 years. When I realized the Swix ambitions and the possibility to involve myself in the development, it was easy for me to make this long commitment and join Swix in building the best alpine glove range in the market”, says Aksel Lund Svindal.